Showing 38 articles from May 10, 2017. LOUISBURG -- Last month, Kelli London stood in a room and was moved to tears of joy. 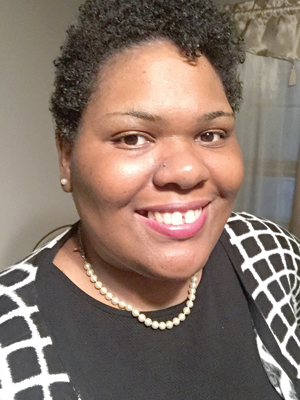 She gave in to those emotions after receiving the Governor's Volunteer Service Award -- an honor recognizing that, for the past five years, London has worked tirelessly to make sure children who get pulled through the court system don't have to cry, themselves. London has served in the 9th District Guardian ad Litem Program since 2011, serving as a court advocate for abused and neglected children. LOUISBURG -- County staff is preparing to present commissioners with a report and, perhaps, a plan of action to bolster a pump station that threatens development in that corner of the county. In 2014, the State Division of Water Resources (DWR) reported that Franklin County's system was responsible for 23 spills totalling more than 477,000 gallons of sewage into tributaries. 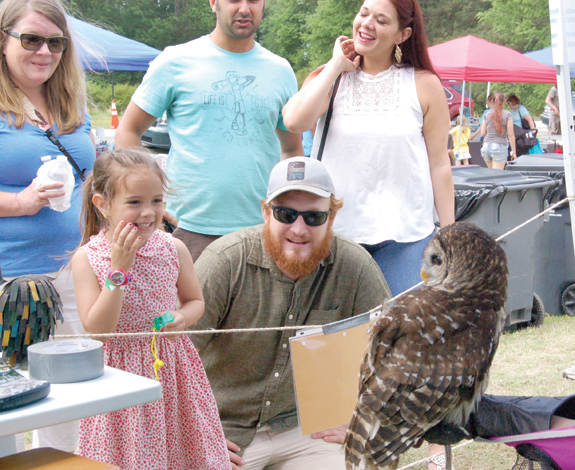 Gabrielle Joy was full of joy during Bunn Fun Day as she was mesmerized by an owl at the American Wildlife Refuge's booth. The North Raleigh organization helps rescue injured animals. 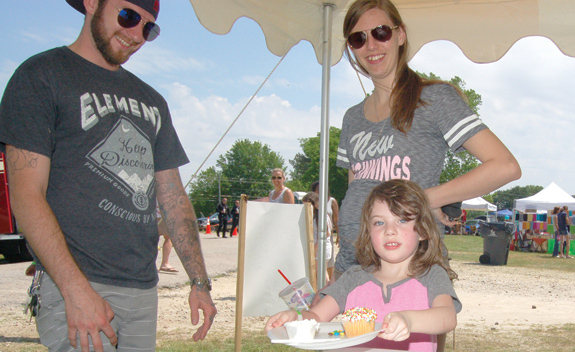 Joy is joined in the fun by her uncle, Daniel Cacciatore, at the event held in the heart of Bunn recently. School maintenance projects hit roadblock -- just one bid! LOUISBURG -- The Franklin County Board of Education got a quick lesson in just how difficult building maintenance can be, then adjusted the central office's working schedule for the summer and took a giant step toward giving every middle and high school student in the school system a laptop-style computer soon, all during Monday night's meeting. The maintenance issue was a surprise. LOUISBURG -- The Louisburg Police Department is investigating a shooting that sent one Louisburg College student to the hospital -- but has yielded few other penetrating details. Officers with the WakeMed police department contacted Louisburg Police during the early morning hours of May 7, notifying them that a 20-year-old student arrived at the Raleigh hospital suffering from a gunshot wound. FRANKLINTON -- During their first budget workshop, town commissioners and staff came closer to balancing their 2017-18 spending plan, whittling away a deficit of more than $63,700, either through cuts or more optimistic revenue projections. That still leaves a difference of more than $57,000 between projected expenses and revenues for the next fiscal year. Principals were selected for two Franklin County Elementary School during Monday night's Board of Education meeting. 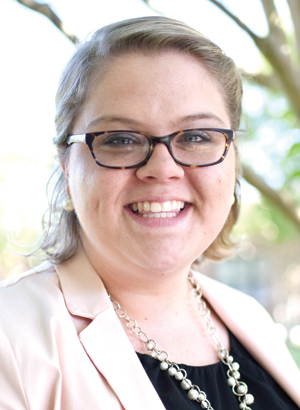 Caroline Linker has been selected as principal of Youngsville Elementary School and Melissa Richardson has been named principal of Franklinton Elementary School. 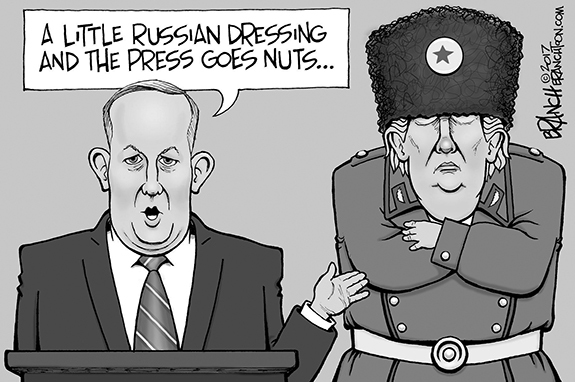 Both will begin their new jobs on July 1. Isn't it time to treat Tar River as an asset? Will the upper Tar River finally get some of the respect that it has been missing for decades? We can only hope -- after all, it was the favorite future project of those who attended the Tar River Center for History and Culture's planning meeting last week. Folks overwhelmingly like the idea of developing the Tar River basin -- and especially the Depot Hill area of Louisburg -- for a variety of future attractions as well as just preserving its natural beauty. If you feel like one of those little lab rats trapped in experiments being run by scientists who have no idea what they are doing, you're not alone! 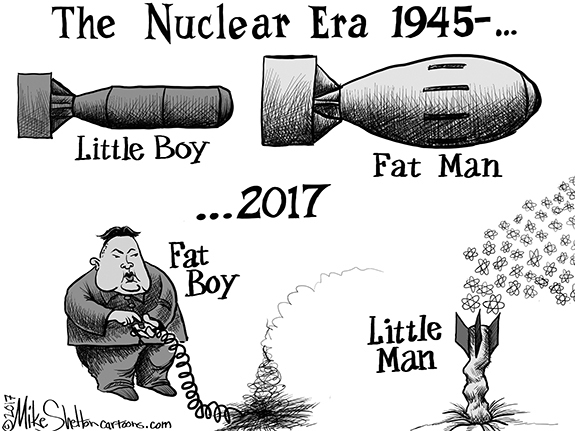 But there could be a potential bright side to this latest round of Russian Roulette being played with our health care by the U.S. House of Representatives. 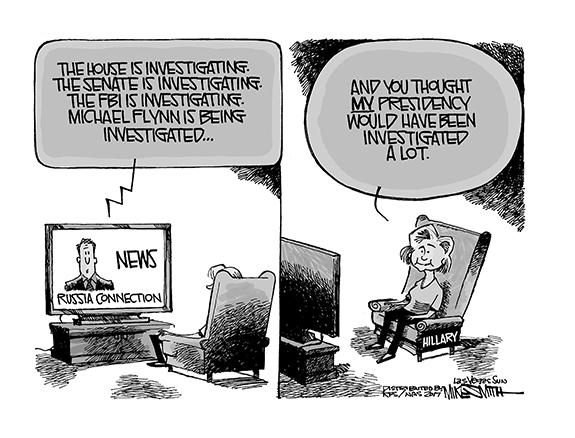 The bright side? Maybe our congressman, George Holding -- who voted for this massive change -- will actually come back to his district and hold public forums to explain his vote and how he believes we will benefit. A cross-country adventure had been a longtime goal for Joe Copeland. But, it wasn't until recently that he had a purpose to match -- raising awareness for military members who commit suicide at a clip of about 22 a day. Copeland, who served in a Navy Construction Battalion or SeaBee, and spent time in Iraq and Kuwait, suffers from Post Traumatic Stress Disorder. "I had been talking about wanting to do an epic walk for years ... but I didn't have a cause. I think it would be safe to say that we have been flushing money down the toilet for an $11 million radio system that barely works. Now county staff says we might need another $1.8 million to improve this boondoggle of a radio system that's been used here for the last several years. Police, fire, and rescue personnel are up in arms due to the poor reception practically anywhere in the county. LOUISBURG--Funeral services for Ronnie Perry, 64, who died Sunday, May 7, 2017, will be held Saturday, May 13, at 1 p.m. at South Main Street Baptist Church in Louisburg, with the Rev. David Rosby officiating. Burial will follow in the Cemetery on the Hill. DANIEL DIVES BACK. Bunn's D.J. Daniel averts a pickoff attempt during Tuesday's game against South Columbus. 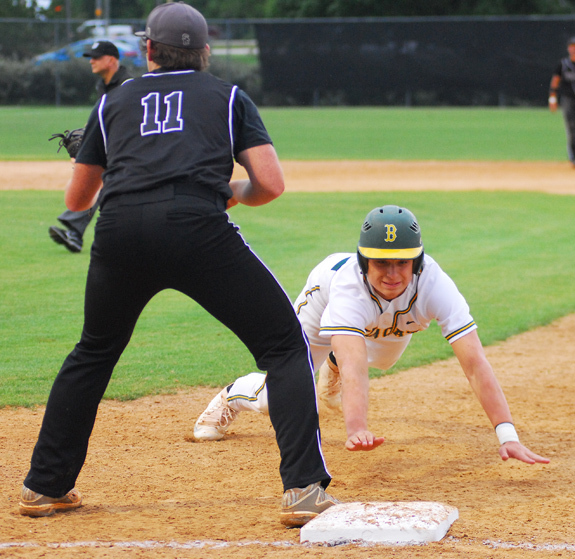 BUNN -- With three ninth-grade starters and only two seniors on the entire roster, it was easy to surmise that the Bunn Wildcats overachieved on the baseball diamond this season. Still, the end of the campaign is always difficult to swallow, especially when it happens in the first round of the Class 2-A State Playoffs. The Wildcats had their chances but were done in by some uncharacteristic miscues as part of Tuesday's home loss to South Columbus by a 7-4 margin. READY FOR THE THROW. Louisburg High School's Taylor Ferguson waits for a relay throw as a Southern Vance player slides into third base during last Thursday's softball game at Sheilah R. Cotten Field. LOUISBURG -- With the Tar-Roanoke Athletic Conference championship already clinched, the Class 1-A State Playoffs instantly became the chief priority for the Louisburg High School softball squad. But LHS wanted to get in one more prep game for the playoffs last Thursday against Southern Vance, though the event was threatened by poor weather in the area. 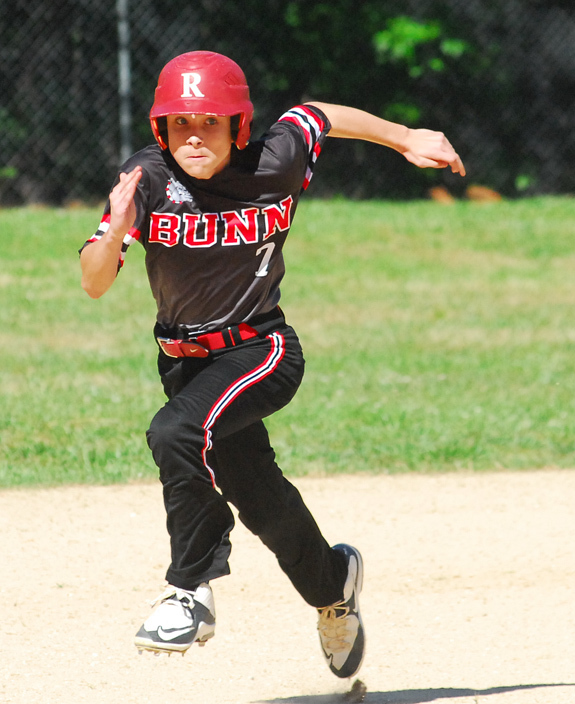 BUNN -- Despite coaching turnover and an ever-changing roster, one thing seems to remain contest with the Bunn Middle School baseball program. That's an ability to always find a way to win the Middle Athletic Conference Tournament Championship. That long-standing trend continued Mondays in the title game as the Bulldogs edged host Terrrell Lane by a 4-1 margin in the MAC finale at the TLMS Field. SPARTANBURG, S.C. -- A great season came to a disappointing conclusion last Friday for the Louisburg College softball squad. Just two victories away from a spot in the national tournament, the Lady Hurricanes were stopped by Snead State from Alabama in the districts, which were held at the neutral site Spartanburg Methodist College in the Palmetto State. LC lost the first contest of the best-of-three series in heartbreaking fashion and never recovered while being swept two games to zero. BUNN -- College signees are nothing new at Bunn High School, but there was a bit of a twist to last Thursday's three-fold signing ceremony at the BHS Media Center. 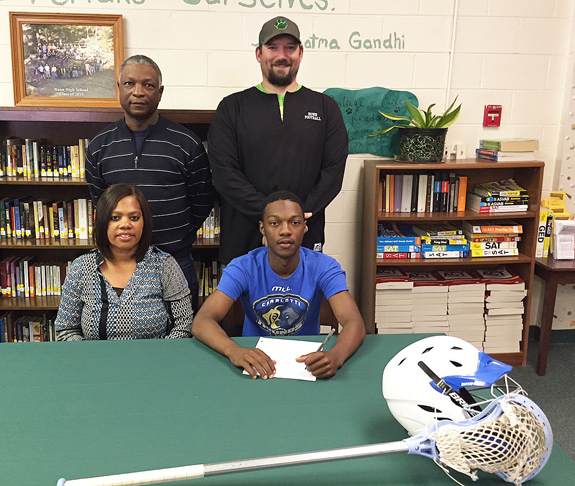 Bunn senior Victor Dunston made a bit of history as he became Franklin County's first-ever lacrosse signee as he inked a deal to continue his career at Hampton University in Virginia. 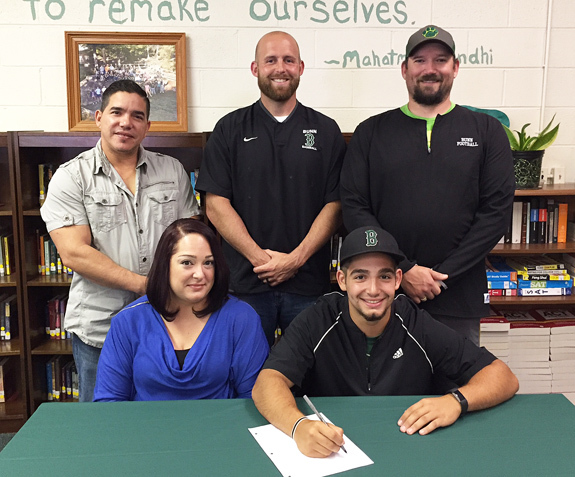 Bunn High School's Isaiah Ortega signs a letter-of-intent to join the baseball program at William Peace University, which is located in Downtown Raleigh. Also pictured are (back, l to r) Rafael Ortega (father), BHS baseball coach Chris Cullom and BHS Athletic Director Chris Lewis; (front) Vanessa Ortega (mother). 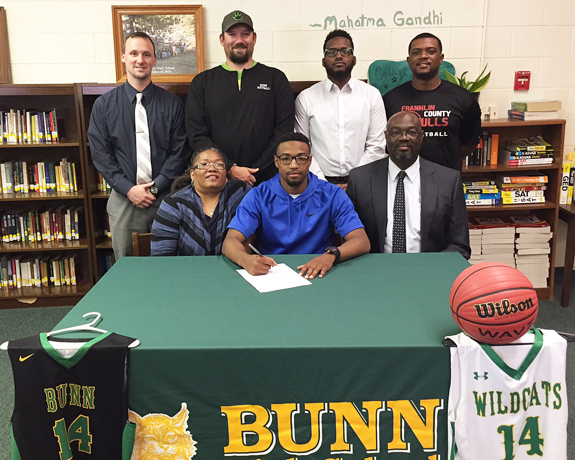 Bunn High School's Victor Dunston becomes the first-ever county lacrosse signee as he inks a deal to join the program at Hampton University in Virginia. Also pictured are (back, l to r) Victor Dunston Sr. (father) and BHS Athletic Director Chris Lewis; (front) Carla Dunston (mother). 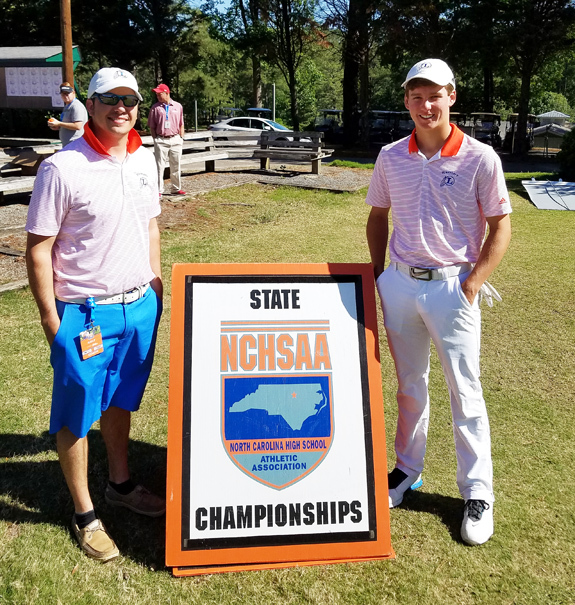 WHISPERING PINES - When asked about his experience in the NCHSAA 1-A Class State Golf Tournament, Louisburg High School's Reed Wheless simply said, "It was a roller coaster." Fortunately, this ride finished at the peak. The Pines Course at The Country Club of Whispering Pines was the gracious host in what would be Wheless' last of four appearances in the state golf venue. 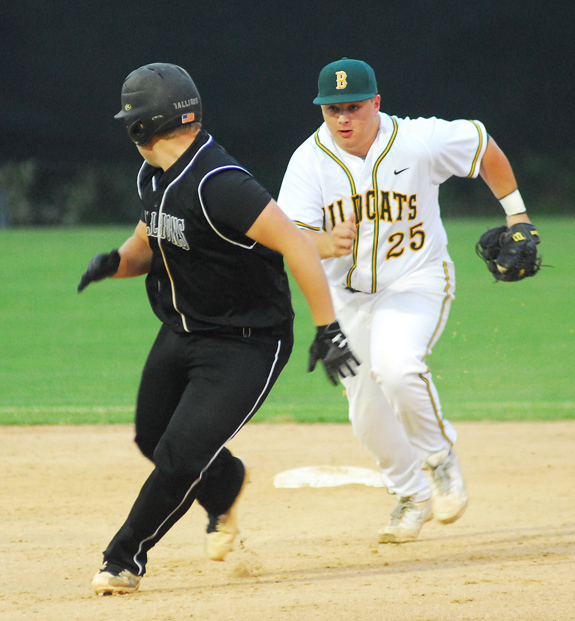 Bunn second baseman Jackson Anderson (right) tries to track down a South Columbus runner during Tuesday's baseball showdown. BASS KING STRIKES AGAIN. 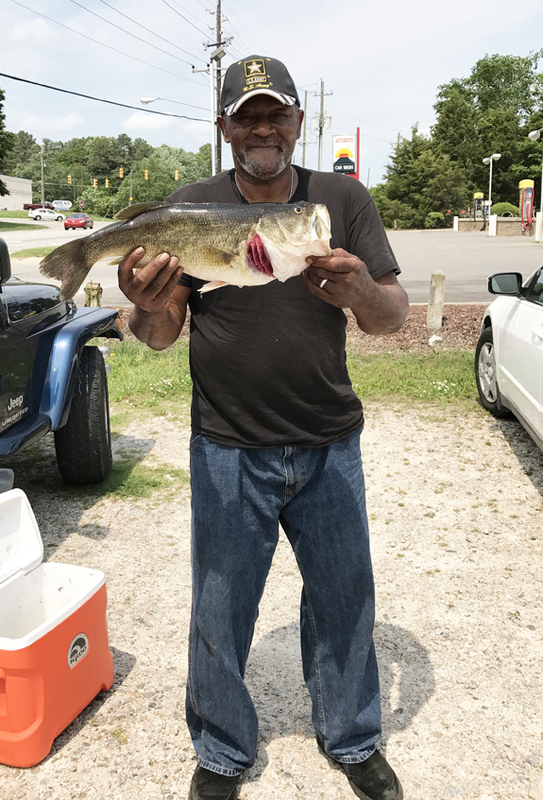 James Massenburg recently reeled in this 8.5-pound bass at a private pond in Franklin County. He said that if you can't beat his 11.2-pounder, try to beat this one. Terrell Lane Middle School's Jacob Wood (right) waits for a pickoff throw during Monday afternoon's contest against rival Bunn Middle in the championship game of the Middle Athletic Conference Baseball Tournament at the TLMS Field. 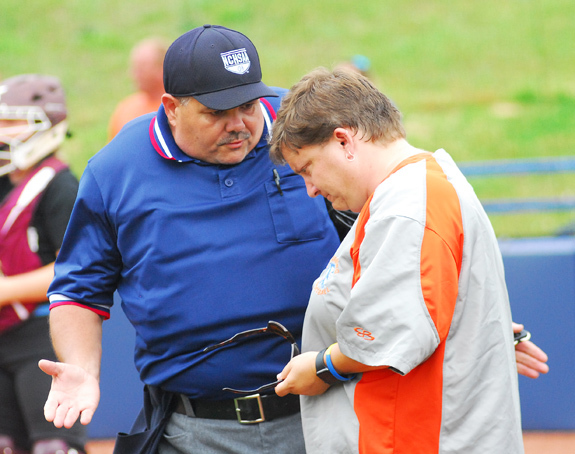 Louisburg High School softball coach J Stamey listens to an interpretation from the home plate umpire during last Thursday's softball contest against Southern Vance. Folks downtown in Louisburg have probably noticed some activity going on at 111 N. Main as Franklin County Arts Council prepares the space for the Louisburg Art Gallery. Project managers Patrice and Craig Kassan have been hard at work to get the gallery ready for a "soft" opening on Friday, May 19 from 5 until 9 p.m. 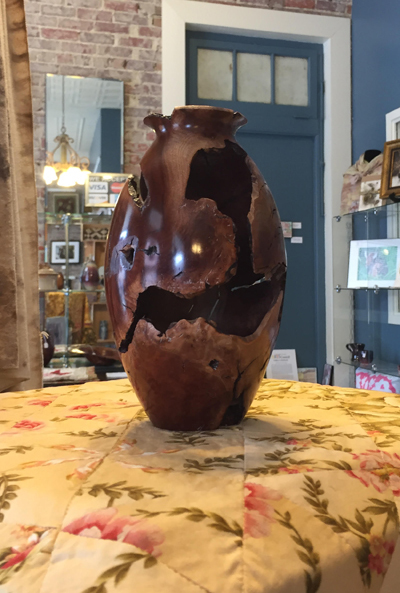 The event will include an art exhibit to coincide with the Louisburg Summer Concert Series and a silent auction for an art piece donated by Craig Kassan (photo at left). HENDERSON -- U.S. Rep. G.K. Butterfield, who represents North Carolina's first congressional district, visited the main campus of Vance-Granville Community College on April 17, during a tour of his district while Congress was in recess. At the college, the congressman met with Dr. Stelfanie Williams, VGCC's president, along with a group of five students: Jesse Edwards, Camden Jones, Evan O'Geary and Latessa Wilkerson, all of Henderson; and Francis Scotland of Oxford. 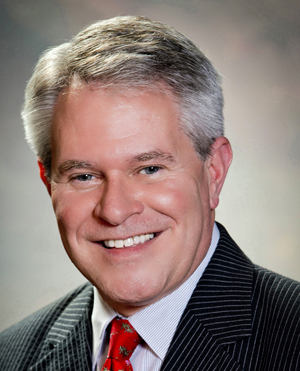 HENDERSON -- Dr. James C. "Jimmie" Williamson, the president of the North Carolina Community College System, will be the principal commencement speaker for Vance-Granville Community College's graduation exercises on Friday, May 12. Colton Hayes of Epsom, president of the VGCC Student Government Association, will be the student speaker. About 490 students are scheduled to be honored during ceremonies beginning at 6 p.m. at the gazebo by the lake on the college's Main Campus in Vance County. 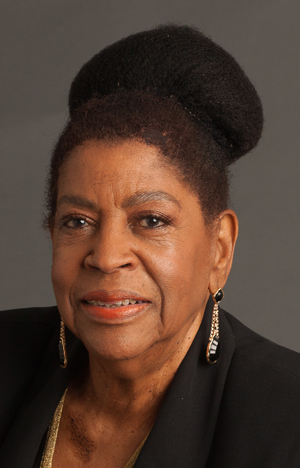 Dr. Virginia Green Edwards, currently of San Rafael, Calif., daughter of the late Irma Green and Bill Green and the product of Louisburg public schools, was recently inducted into the Marin County Women's Hall of Fame, along with four other prominent Marin County, Calif. women. A dedicated educator for over 40 years, Dr. Edwards was recognized for bringing to her profession a strong belief in education and community service. She said she has worked tirelessly over the decades to provide children with the best education possible regardless of their economic circumstances. 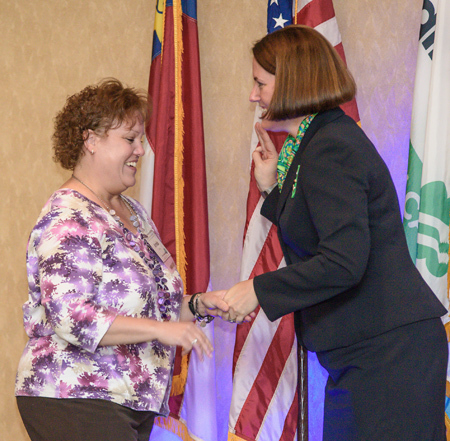 A Franklin County woman has been recognized for her volunteer service by Girl Scouts - North Carolina Coastal Pines at the council's 10th annual meeting in Greenville. Ronda Ficklin received the Distinguished Service Award, which recognizes volunteers who have contributed outstanding service while partnering directly with girls in any pathway to implement the Girl Scout Leadership Experience through outstanding service in support of the council's mission delivery to girl and adult members. FRANKLINTON -- Franklin County sheriff's deputies teamed up with Granville County investigators to arrest a Franklinton area man on drug charges. According to authorities, the Franklin County Sheriff's Office Narcotics Unit and Special Response Team, along with Granville deputies, executed a search warrant at a home on Adler Court on May 5 that resulted in the arrest of Bobby Gerald Hawkins. Officers seized a .45-caliber handgun, $4,585, 10.5 grams of crack cocaine and hydrocodone prescription pills. Six projects were ranked in order of priority by those attending a public meeting on the future of the Tar River Center for History and Culture last week. 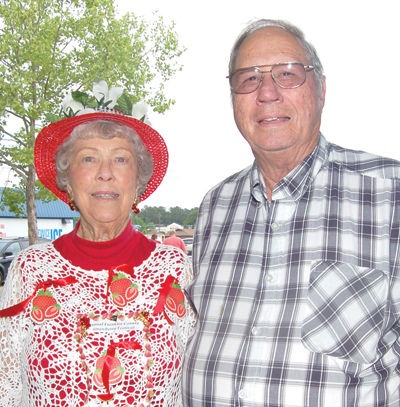 Food, fun & runnin' in Bunn! 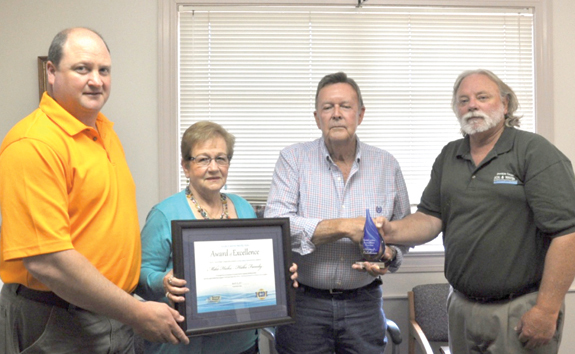 FRANKLINTON -- Two farmers were recognized for efforts that bolster the region's drinking water. Last month, the Franklin Soil and Water Conservation District presented the 2017 Source Water Protection award for Source Water Implementation to Franklinton residents Mike and Sam Hicks. Long-time local resident Earlie Foster is a recent double amputee and members of his church are spearheading efforts to purchase a handicapped accessible van to help maintain his mobility. Foster is chairman of the Deacon Board of Mitchell Baptist Church where he has been a member for more than 30 years. 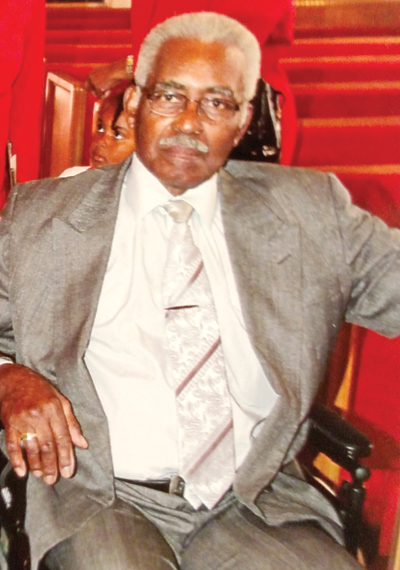 He is former employee of Lauren's Glass Co., and was handyman for many years who also supported many church and church-related activities in the community.